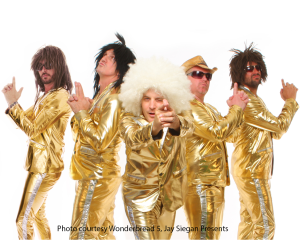 June 30, 2015 – Renowned San Francisco-based party band Wonderbread 5, represented by Cari A. Cohorn (while at her prior firm), prevailed on its petition to cancel the registration of the mark “Wonderbread 5” unlawfully obtained by a disgruntled former band member. The battle over the “Wonderbread 5” trademark (the “Mark”) – like most band breakups and other occasions when a musician departs from a band – was contentious. The backstory is lengthy. The band was founded in late 1996. 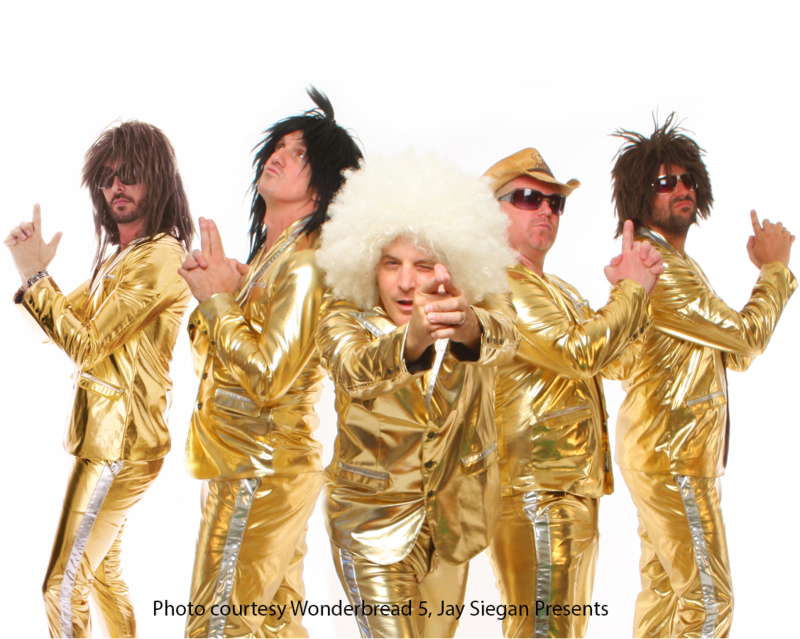 The initial plan was to perform Jackson 5 songs; the band members collectively brainstormed and came up with the name “Wonderbread 5” as a play on the fact that they were white guys taking on the personas of the members of the Jackson 5. The band was notable (in addition, of course, to being known for their musical prowess) for wearing outrageous 1970s-style costumes and “Afro” wigs. They gained popularity, playing shows throughout California, the United States, and beyond. The Band offered to settle Gilles’ claims for a relatively modest sum of money, and Gilles accepted the offer on October 1, 2009. According to a letter from the lawyer representing the Band in the state-court case, the settlement offer constituted payment for Gilles’ entire interest in the Band partnership. On October 6, 2009, the PTO issued Gilles a registration of the “Wonderbread 5” mark. During the state court case, Gilles concealed the fact that he had applied for the registration – even though the band had served discovery that would have revealed this fact, had Gilles responded fully and truthfully. The band learned of the registration only after paying Gilles for his interest in the partnership, when they discovered that Gilles had created a website – now defunct – displaying the registration certificate and a photograph of Gilles. The band then initiated a proceeding in the TTAB, seeking to cancel Gilles’ registration. As the band had done in its briefings, the TTAB first analyzed the issue as one of California partnership law. There was no real dispute that the band operated as a general partnership. Under the California Corporations Code, “property acquired by a partnership is property of the partnership and not of the partners individually.” Given these statutory provisions and the absence of any evidence that any other partner (i.e., band member) ever transferred any interest in the Mark to Gilles, the Board concluded that “at the time the underlying application was filed, a partnership, not [Gilles] individually, was the true owner of the mark Wonderbread 5… [T]he band consisted of a partnership of which [Gilles] was no longer a member. It is undisputed that [Gilles] filed the underlying application solely in his name, with no reference whatsoever to the Wonderbread 5 partnership. As such, the rightful owner of the mark Wonderbread 5 for musical performance services did not file the underlying application.” In short, the registration was invalid. The Board next “consider[ed] the legal framework courts and commentators have developed to deal with the special circumstances that tend to arise in ownership disputes regarding a service mark or name to identify a musical performing group” when no formal agreement sets forth the members’ rights, if any, to the band name. Thus, the Board’s decision provides guidance for bands based throughout the United States – not just those in California. The Board quoted J. Thomas McCarthy, one of the leading commentators on trademark law, noting that problems of ownership of band names “can only be dealt with adequately by giving weight to customer perception and the identification of source and quality policies of trademark law.” That is, one of the primary purposes of trademark law is to protect the public’s ability to identify the source and quality of the goods or services they purchase – so you get what you expect when you buy a beverage called a “Coke” or book a band called “Wonderbread 5” – and that goal should be central to an analysis of ownership of a band name. The Board adopted Professor McCarthy’s, analytical framework, presenting the issue as whether the Mark identifies a group regardless of its members. That is, in “performing group cases, it must first be determined whether the group name is personal to the individual members or not. If not, a second question then must be determined: for what quality or characteristic is the group known and who controls that quality? The answer should identify the person or entity that owns the group name as a mark.” Stated differently, the question is whether the Mark “Wonderbread 5” refers to five specific individuals (i.e., the mark is “personal” to the specific band members”) or to a group of musicians wearing a distinctive style of costume and performing a particular style of music identified with the group. That is, the Mark refers to a particular “style and quality” – not to a specific set of individual musicians. Having started out as a Jackson 5 tribute band, “by its very nature, the band required the performance of five individual members – no more, no less.” Further, “’over the top’ costumes reminiscent of the 1970s were an integral part of the band’s public persona.” In fact, Gilles’ refusal to wear the costumes requested by clients and/or by the rest of the Band was one of the issues that led to his termination from the band. Thus, “it was the partnership/group who monitored and controlled the ‘style and quality’ of the band, not [Gilles]. Clients who booked the band for performances clearly expected to see a five member Jackson 5 style tribute band dressed in overstated 1970s style clothing. Thus, the 1970s era costumes were perceived by consumers as critical to the meaning of and services offered under the Wonderbread 5 brand name.” Accordingly, the TTAB cancelled Gilles’ registration. Band break-ups and departures of band members often present tricky and unanticipated legal issues. For guidance on these issues, contact Cohorn Law.